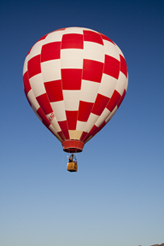 Since 1987 Alpine, Texas In Brewster County has been hosting the Big Bend Balloon Bash. This year’s 14th annual Big Bend Balloon Bash will be held at the city owned Alpine-Casparis Airport just 2 miles northwest of downtown Alpine on Hwy 118. The gates will open on Saturday, September 3rd, 2011 at 7AM. The balloons will fly three consecutive mornings over Labor Day Weekend, beginning at 730AM until 1000AM, weather permitting. 25 balloons participate in the Big Bend Balloon Bash drawing some 3,000 to 5,000 folks for the event. Before and after the balloons fly you might like to visit the food booths and craft displays on hand for this event. A free concert will be held at Buck Stadium in Alpine, Texas on Sunday night at 8PM. This entry was posted in Texas, Texas Events, Things to do in Texas and tagged Big Bend Balloon Bash Alpine Texas, labor day weekend adventure texas, Labor Day weekend event Alpine Texas, Since 1987. Bookmark the permalink.